Review: Chicago Symphony Orchestra conducted by Riccardo Muti, with pianist David Fray, on Oct. 4 at Orchestra Hall. I once asked Pierre Boulez who he believed was the most neglected major composer of the 20th century. 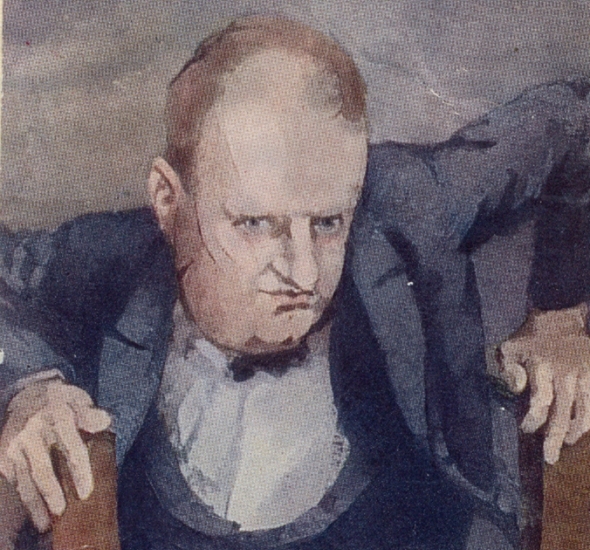 “Paul Hindemith,” he replied without hesitation. Boulez was far from alone in his opinion. Musicians as diverse as Glenn Gould, Eugene Ormandy and CSO music director Riccardo Muti have actively championed the German composer’s music. Despite the high quality of much of Hindemith’s enormous output, however, he has never done terribly well at the box office, while Stravinsky, Bartok and other modernist giants have long been ensconced in the repertoire. More missionary work must be done on Hindemith’s behalf if his music is to achieve its rightful respect and place in the canon. 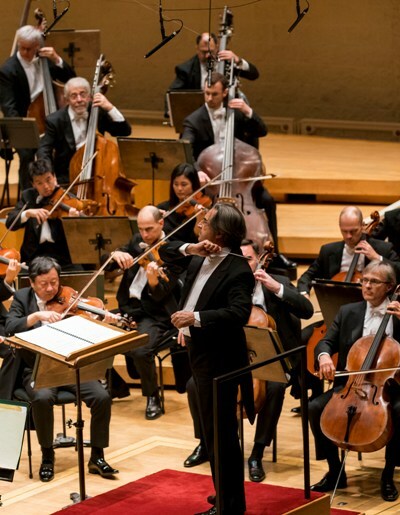 Congratulations then to Muti for returning Hindemith’s masterpiece, the “Mathis der Maler” Symphony, to the Chicago Symphony Orchestra repertoire at this weekend’s abbreviated series of subscription concerts in Orchestra Hall, after an unconscionable absence of more than 20 years from the series. The brilliant, deeply considered performance heard on Thursday night added Hindemith’s magnum opus to the other Hindemith scores the music director has brought to downtown Chicago. Too bad so few audience members will be able to hear it, since a Friday-matinee repeat on Oct. 5 is all that was scheduled. The 1934 “Mathis” Symphony, like Hindemith’s opera of the same name he completed a year later, was inspired by the famous Isenheim altarpiece by the great German painter of the early Reformation, Mathias Grünewald. Each of the three movements is named for one of the panels of the altarpiece. The opera’s central themes were hideously relevant to Hindemith’s precarious situation during the rise of Hitler: How should an artist behave in times of evil and violence? Should he engage in the struggle or attend to his art? Although Hindemith appeared determined to soldier on as an industrious musician in service to German culture, the Nazis banned his music, and he and his wife (who was half-Jewish) were forced into exile, emigrating in 1940 to America where he took a professorship at Yale University. Although he was apolitical in his public statements, “Mathis der Maler” (the symphony as well as the opera it begot) may be seen as prime examples of resistance to Nazism from within. This is ideal repertoire to display the corporate mettle of the Chicago Symphony Orchestra at its virtuosic best. You would have to search far and wide to hear orchestral colors brought forth with such high resolution as was achieved at Thursday’s performance. As with the previous week’s Rimsky “Scheherazade,” the musicians gave their chief playing of unfailing brilliance that probed well beneath the sometimes bustling surface of the score. Hindemith’s neo-Bachian textures can easily turn clotted if a conductor isn’t careful, but Muti sorted out the sinewy polyphony so that every strand of counterpoint was balanced and registered clearly. The strings brought glowing luminosity to the “Angelic Concert,” matched by a quickness and precision of rhythmic attack. “The Entombment” gathered somber intensity before fading to a gentle close. 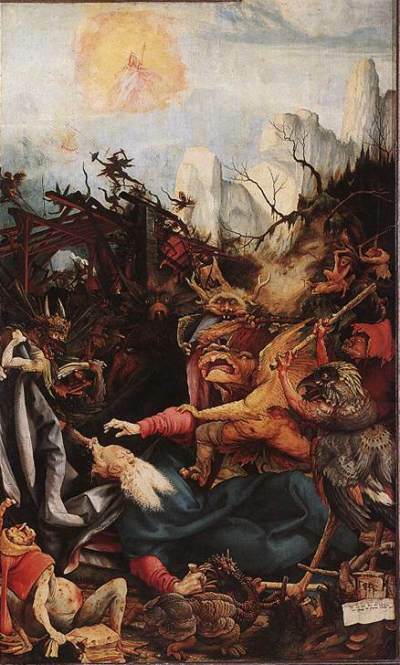 “The Temptation of Saint Anthony” carried a tremendous driving urgency that drew its strength particularly from the mighty Chicago brasses, who made a meal of the concluding Lutheran chorale. “Mathis der Maler” and a stunning Shostakovich “Babi Yar” were the highlights of Muti’s autumn residency thus far. David Fray’s Beethoven: Serious, immaculate, if somewhat cool. The Hindemith proved to be far and away the highlight of a rather more mixed all-German program of Beethoven and Brahms. An “Egmont” Overture blazing with Beethovenian excitement gave way to a Beethoven Third Piano Concerto far less extroverted in manner and, to my ears, rather more problematic in its expressive aims. I have admired the thoughtful young French pianist David Fray for the refinement, clarity and pearly tone he brought to previous recital and concerto appearances at Orchestra Hall. But what works for Bach, Mozart and Schubert doesn’t necessarily work for Beethoven: I found Fray temperamentally unsuited for the C minor concerto. This was cool, nerveless Beethoven, given to dreamy deliberation in the slow movement, dull and enervated in the outer movements. Everything, to be sure, was immaculately played. 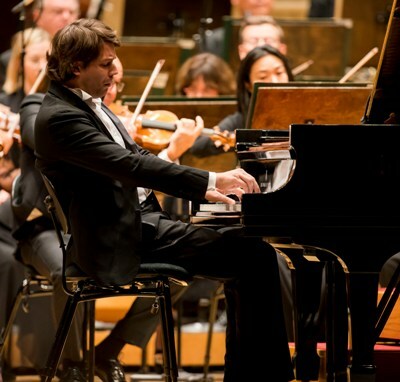 Seated on his customary chair rather than on a piano bench, Fray certainly has his own seriously held ideas about the score, but I wasn’t convinced they were Beethoven’s – indeed, I heard more of what, for me, constitutes authentic middle-period Beethoven style from Muti’s orchestra. The rapid-fire glances that passed from piano to podium suggested a less-than-complete meeting of interpretative minds. This was Fray’s first CSO collaboration with his father-in-law in Chicago, and I missed the spontaneous interaction that marked Muti’s performances of the concerto with pianist Mitsuko Uchida two seasons ago. The pianist is due to perform Mozart’s Piano Concerto No. 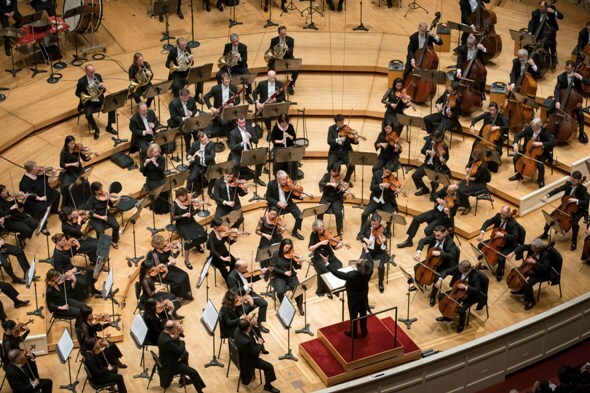 24 in C minor, K.491, under Muti’s baton, at the CSO’s annual Symphony Ball at 7 p.m. Oct. 6. Muti preceded “Mathis der Mahler” with a selection of four Brahms “Hungarian Dances,” in the orchestrations by the composer (Nos. 1, 3 and 10) and one Martin Schmeling (No. 5). Played with buckets of idiomatic lilt and rousing high spirits, these classy pops pieces served as the perfect foil to the more serious Hindemith work. John von Rhein recently retired as classical music critic of The Chicago Tribune after a tenure of more than 40 years. The concert’s serious Hindemith centerpiece was balanced with classy favorites that emphasized idiomatic lilt and rousing high spirits. FYI – Uchida’s performance of Beethoven’s Piano Concerto No. 3 with Maestro Muti took place not last season, but in fact, two seasons ago (2015-2016 season), as her performances were spring of 2016. Copy corrected, author passes along his thanks. Thanks for the great anecdote, Max. Sounds like Boulez stiffened in his assessment of Hindemith’s musical worth in the several years since I spoke with him. At that time he seemed in dead earnest – no irony, no prankish tone – in his remarks.